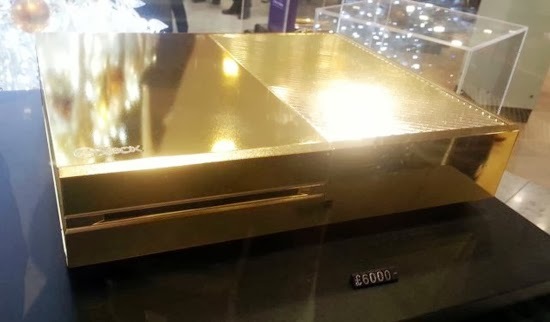 Harrods, a luxury department store in London is selling a 24-karat gold-plated version of the Xbox One. We currently unknown if Harrods just has only 1 gold Xbox One unit for sale or if it has a few more stored in their vault. As we saw on the image above, the Gold plated Xbox One has a tag price of 6000 British Pound Sterling or about $9,774 when we converted. For that price you can buy a 15 Xbox Ones bundled with two wireless controllers, Call of Duty: Ghosts, and 12 months of Xbox Live Gold memberships or 16 PS4 CONSOLE with Battle Field 4 Software (Bundle Pack).